I've mentioned before that as part of my therapy I have been keeping an art journal. When I first started I had a tendency to spend a lot of time staring at a blank page. 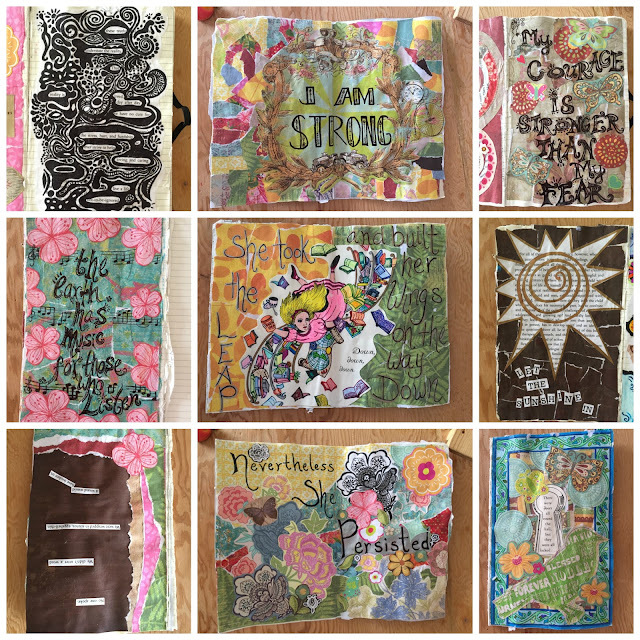 I would look on Pinterest at all the beautiful art journal pages people had created and realize I could never even begin to create something like that and I would let that stop me from even starting. Being creative isn't about being perfect. Being creative, in all my imperfect glory, has definitely helped my mental health. And it gives me plenty of practice at changing my negative self-talk too. You need to not say your pages are not perfect because they are.